Magda is a licensed hair stylist with over 22 years’ experience in the beauty business. Magda takes pride in making each client look and feel fabulous from the moment they come into Fringe to the moment they leave. Magda specializes in men and women's haircuts, styling, coloring, highlights, balayage, perm, up-do's and curling. She has trained at academies and worked in Poland, New York City, and now resides here in Sarasota. Magda is constantly trying to refine her skills as a stylist and attends many classes and shows to ensure that she’s able to deliver each customer’s vision. 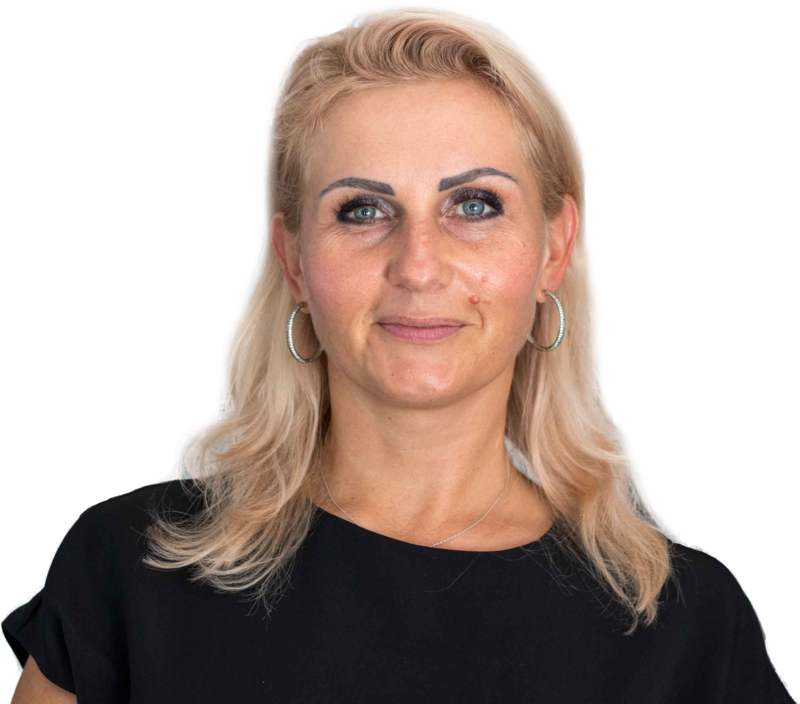 Magda relishes the time she gets to know her clients and their personalities, as this helps me to give them the looks and treatments they want and need. Magda’s goal for each and every client is for them to leave Fringe feeling refreshed and confident, refreshed and happy.